On-camera monitors are important to see what is in focus and when filming yourself. 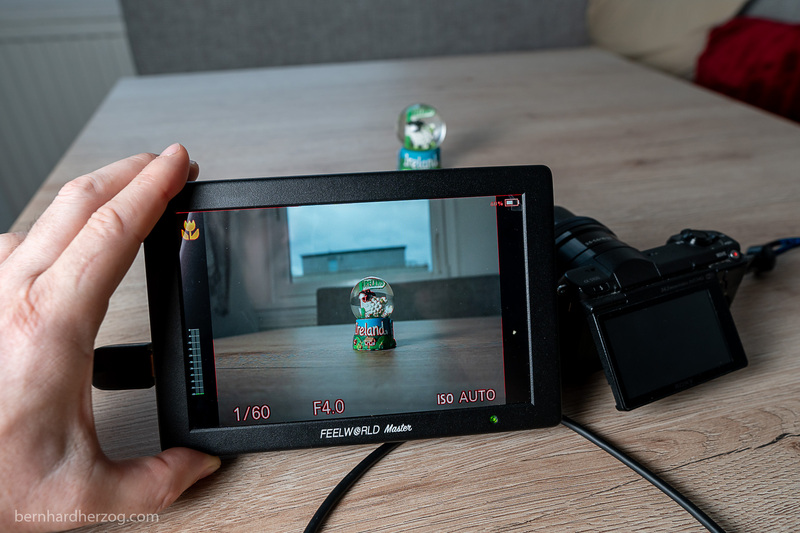 Today I want to test the new on-camera monitors from Feelworld. Deciding on which size to buy is not easy. 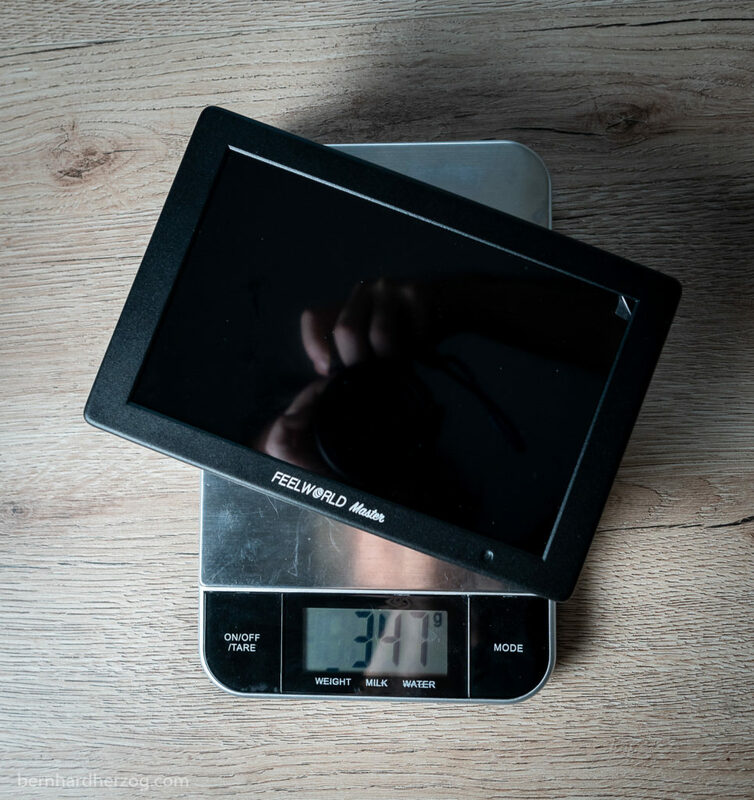 The monitors in the master series are available in 3 sizes: 5 inches, 5,7 inches and 7 inches. Because I will use the monitor mostly in my home studio choosing the largest size was the obvious choice for me. Read on to see if it was the right one. An external monitor solves this problem, I can use it for framing and to see if I am or the subject is in focus. Using focus peaking to see what is in focus. In focus areas are outlined in red. For focusing a bigger monitor is better, I can see better the details, even if I am further away. On the camera screen it is very difficult. 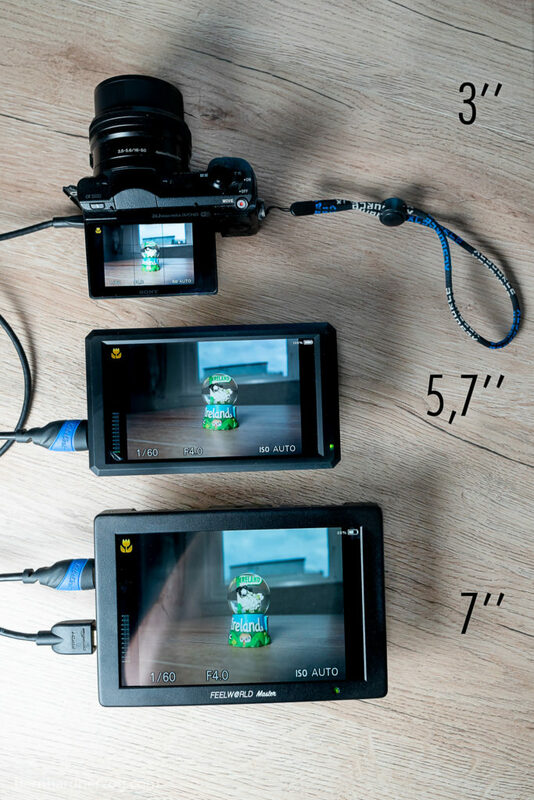 A small monitor is more lightweight and therefore better for mobility and to use on a gimbal. 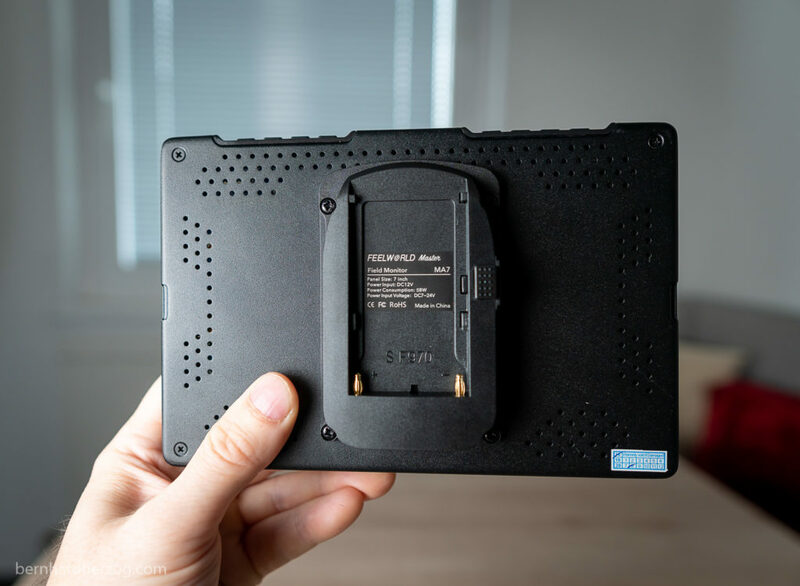 When I am on the road my shooting style is more like run-and-gun so I would not have time to set up a monitor anyways. If you want to use the monitor on the road I would recommend the MA6 or MA5. Those monitors are smaller and made out of plastic. 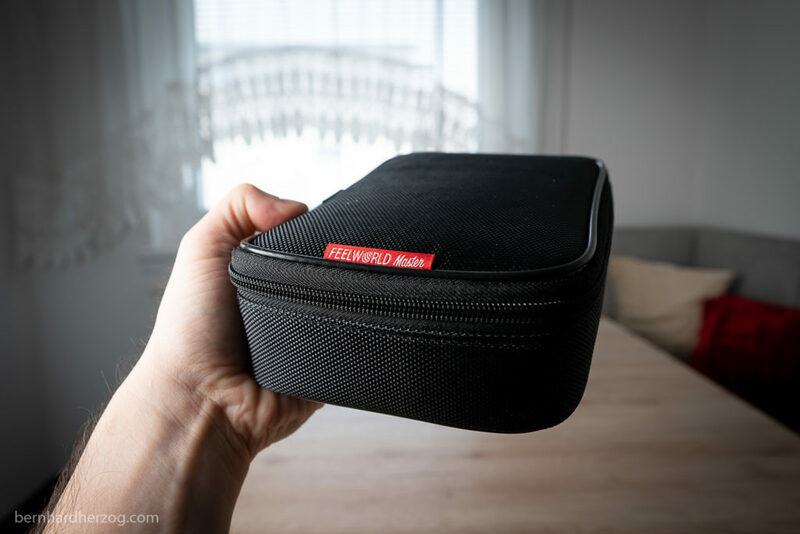 The Feelworld Master MA7 is made out of aluminium and looks very premium. The monitor comes in a nice carrying bag that is very good for protection. 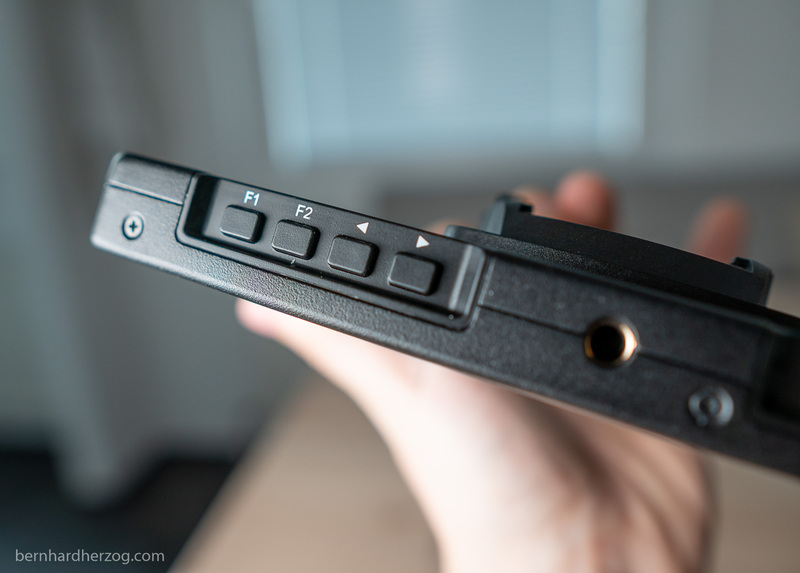 On the back of the monitor there is a battery plate to put Sony NP-Fxxx-style batteries. This works very nicely and there is a button to release the battery. 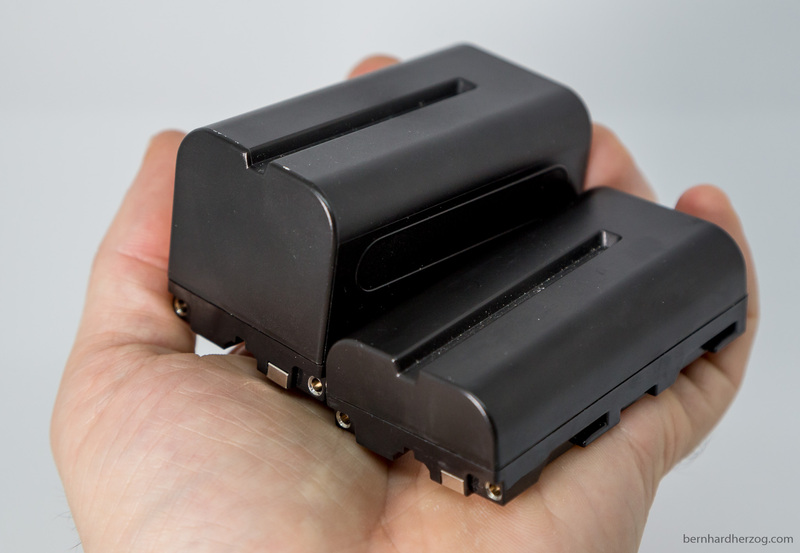 Those batteries have to be bought separately but are available from many manufacturers and can be used on video lights as well. The MA5 and MA6 have a tilt arm but the MA7 just this tripod head, I think because of its already big size. 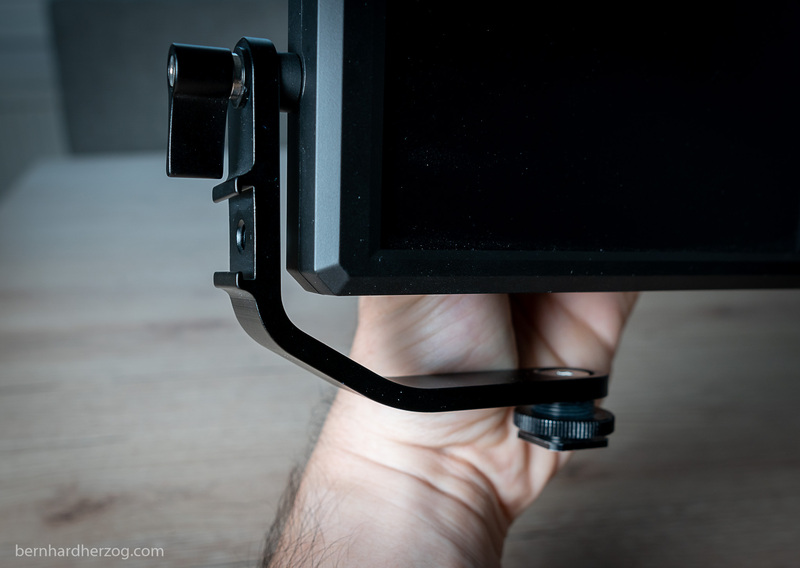 Advantage of having a tilt arm is that it is possible to mount the microphone on the side of the arm, when the hot shoe on the camera is already occupied by the monitor. You can also very easily tilt the monitor. 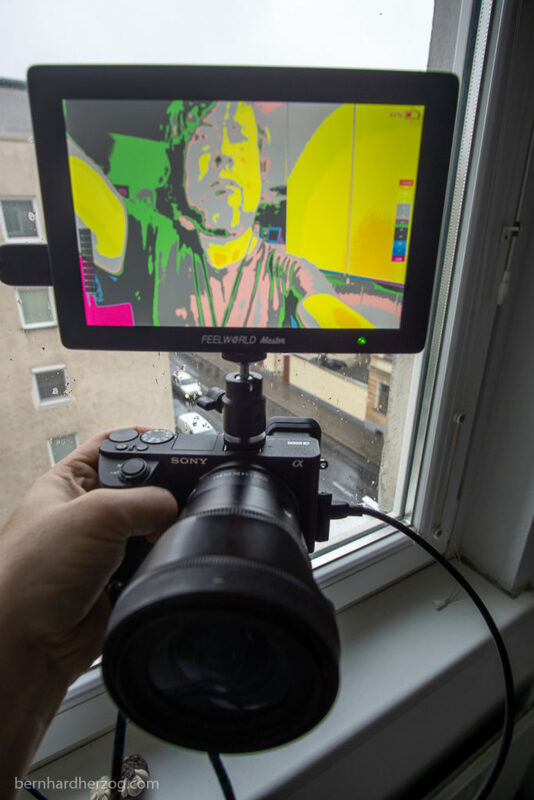 The problem with the tilt arm is that when you rotate it to film yourself the screen will be upside down because it does not have a sensor to detect the orientation. You have to mirror the screen via the menu manually. This is not necessary with a ball head, because you would just rotate the screen horizontally. Then there is a sunshade and a frame to put the sunshade on the monitor. 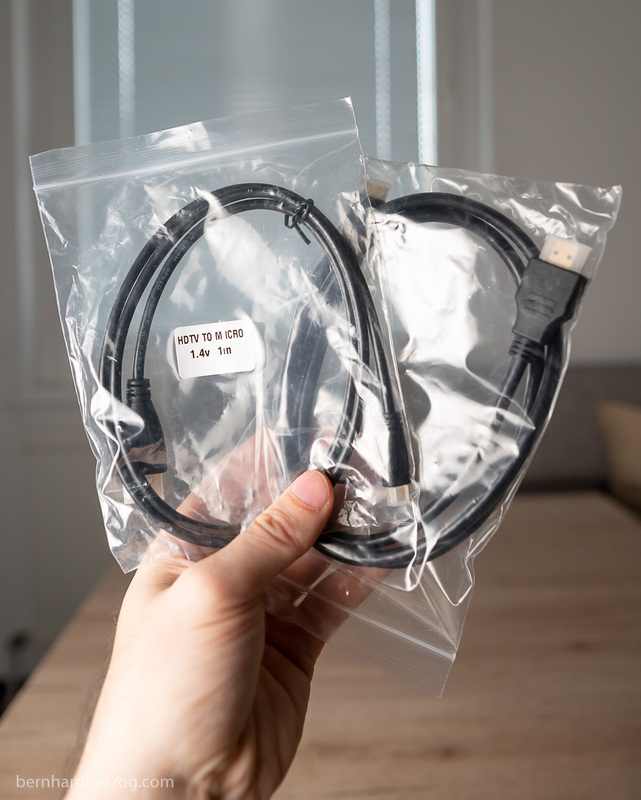 Last but not least the package contains two HDMI cables to connect the monitor to the camera, one for Micro- and the other for Mini-HDMI. 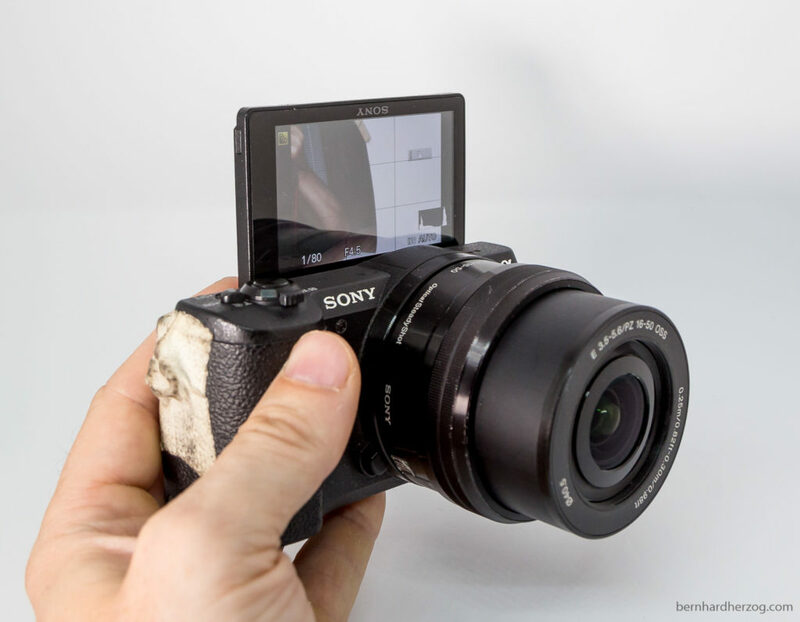 I will need Micro-HDMI for my Sony camera. As you can see I have mounted the monitor on top of my camera (Sony a6500). I am really happy with its big size. The microphone is mounted on a magic arm. This is nice because I can move the microphone closer to myself to record better quality audio. I power the monitor using a 12V power adapter and the camera using USB. So I don’t have to worry about running out of batteries (which used to happen a lot when filming in 4K with my Sony camera). Then I also have a bike phone mount so that I can use my phone as a teleprompter. 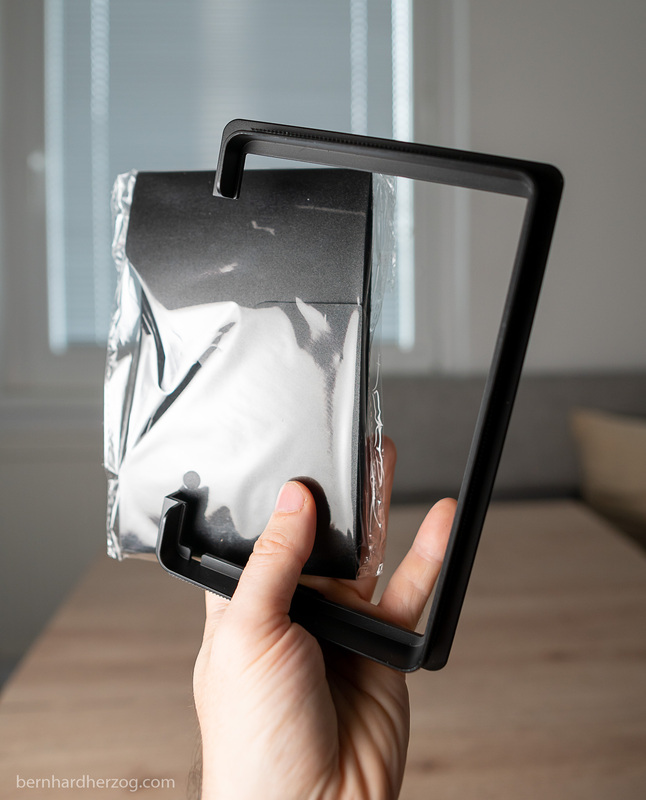 The tripod has a hook to hang a bag as a weight on it to have it more stable. 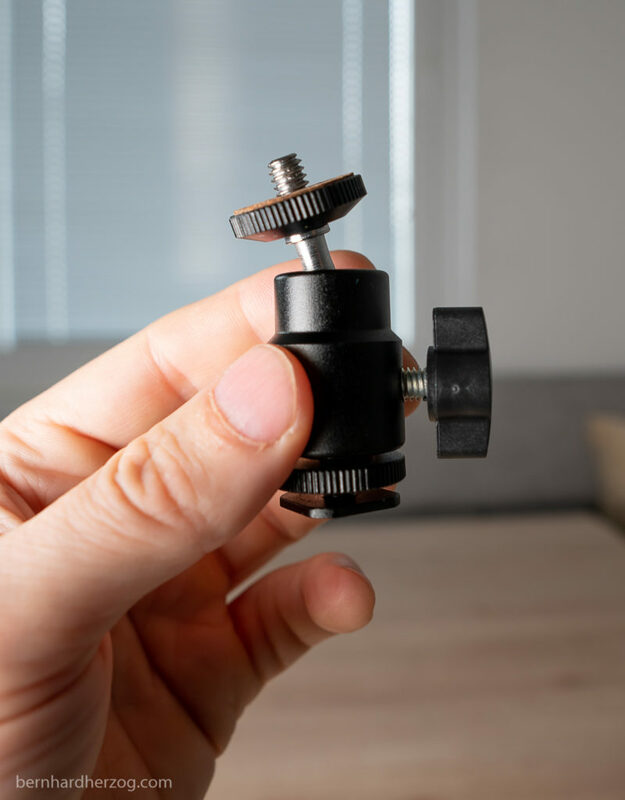 I use this to hang my cables so that they don’t put any stress on my camera or monitor. I will link to all products at the end of the article. 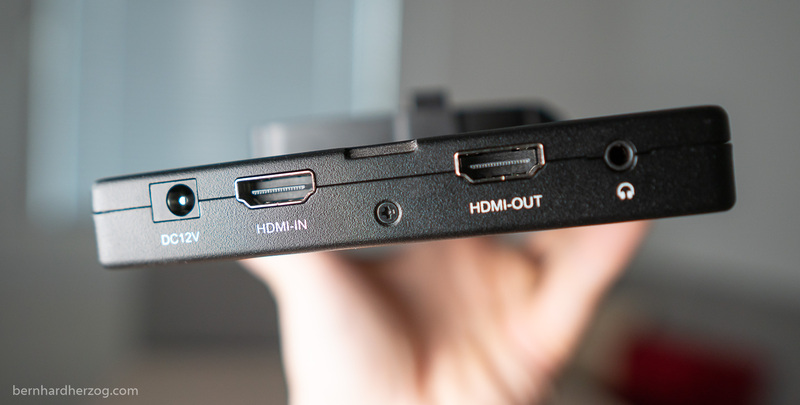 On the side of the monitor there is a DC 12V power input, an HDMI-in and an HDMI-out port and a headphone jack. 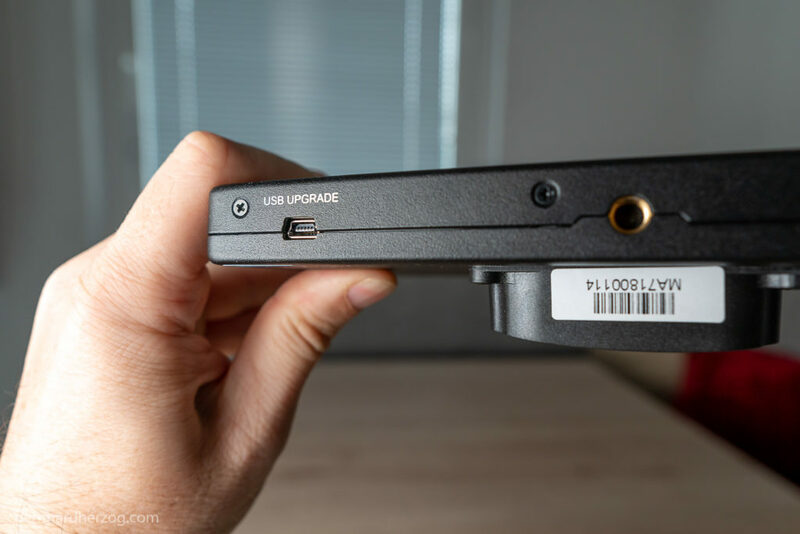 On the bottom of the monitor is a tripod mount and an USB upgrade option (being just for the manufacturer presumably). 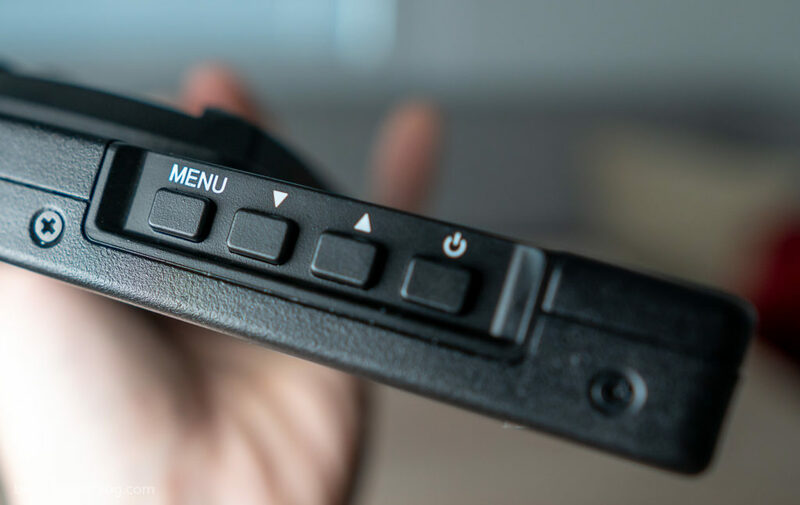 The monitor can be turned on holding the button on the top. Focus Peaking is very important for me to see what is in focus. There is nothing worse than having the subject slightly out of focus. Especially when filming in 4k I want a sharp picture. At first I did not understand the false colors function. But now it is invaluable to me. With a histogram you can just judge the picture in general, i.e. if it is over- or underexposed. With false colors you can actually see the luminosity of the picture. For example skin tones should be around 70 IRE (light grey/pink). When I film with different light setups I can try to match the exposure of the shots by looking at the false colors. I can also see which areas are over- or underexposed. Of course the monitor has a lot of other functions but until now I did not use them too much. Until now I am really happy with the Feelworld Master MA7 monitor. It has the perfect size for my home studio. I cannot really say anything bad about this monitor. Of course the smaller monitors have a tilt arm as well but this also has disadvantages when rotating the monitor to film yourself. I.e. the screen will be upside down if you flip it because it has no sensor to detect its orientation. You have to flip it back using the mirror function in the menu. But it is possible to mount a microphone as well which is a plus. 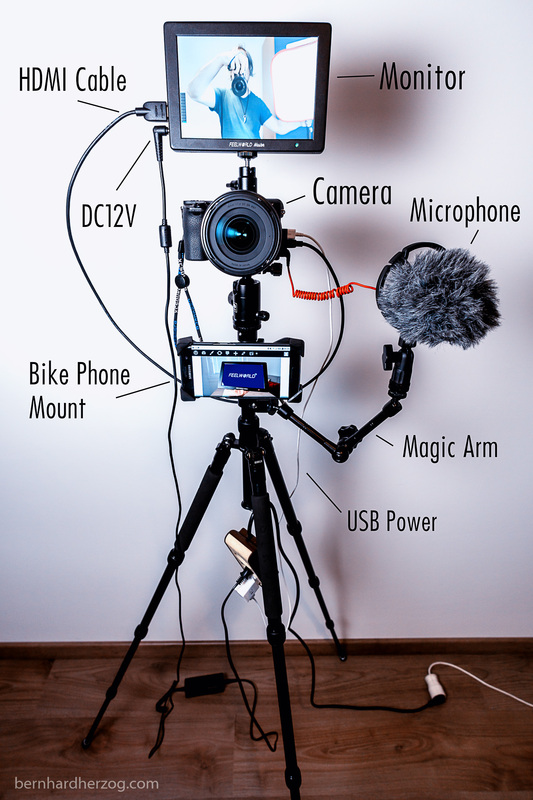 If you need something more lightweight for on the road use or for use with a gimbal I would definitely recommend the smaller monitors MA5 and MA6 (the MA6 being my favorite). If you have any question about or experience with the monitor please comment below I appreciate it. Please use the following links for buying. I will receive a small kickback for my efforts from anything you buy from these links without additional costs for you. THANK YOU!